“Red Widow: The Complete First Season” two-disc DVD set brings fans closer to the mayhem as the search continues to uncover the truth about season one’s most explosive murder. The exciting release is packed with extras including never before-seen moments, exclusive content and more. This was such a great show. 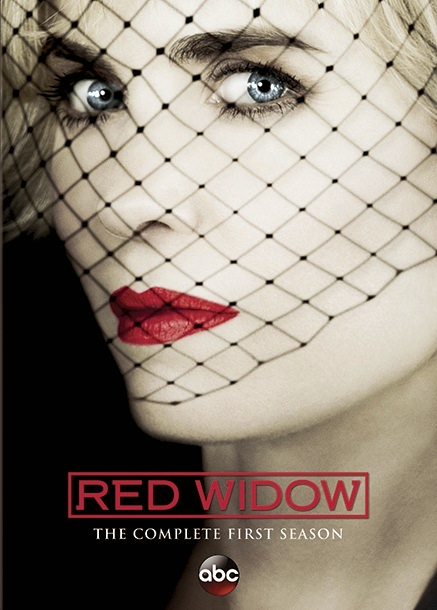 Filled with tons of both drama and action, Red Widow is definitely a show worth watching. I got sent a copy of the first season on DVD and I was at first hesitant to watch it because as soon as my copy arrived I read that the show was being cancelled. Not only was the story line great, but the characters and all the drama surrounding this show was amazing. I can admit that the pilot had a lot going on in it, but they had to start somewhere and squeeze a lot in to get the ball rolling. I thought the show got better by each episode. This was different then anything on television right now. Forced to pay the debt that your deceased husband was blamed for and work with the mob, something that they were trying to get out of, there's rarely anything like this on TV right now. I heard so many great reviews from friends and then when I shared the news that this show had been cancelled they were shocked as well. Only eight episodes this first season still had more action and packed drama then a lot of other shows that are on the air. Even though the show isn't coming back for a second season, I still suggest watching it if you haven't yet. Feel free to check out the clip below from the first episode. Red Widow is now available for purchase today! Disclosure: All opinions are my own. I received Red Widow on DVD at no cost for the purpose of this review. No other compensation was received.